Kyle is purchasing a propane heated finishing cooker for his maple syrup operation. The cooker enhances the beauty and marketability of Grade A light amber maple syrup by allowing for a standard and controlled boiling time, preventing the formation of sugar crystals known as “sugar sand.” Kyle will then have the ability to bottle the final product in glass containers that enhance the color of the syrup, which customers find attractive. 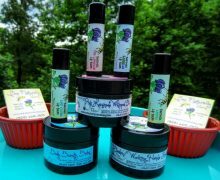 Kyle will market through a new website and at local farmers markets, restaurants and natural and health food stores. Kyle is also in the process of constructing a $35,000 sugar house, which will double as a processing and packaging facility. This project offers opportunities for demonstration to farmers with mature stands of trees. 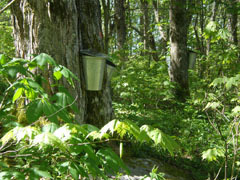 Presently, no other maple syrup operations exist in the county.